Notice : This preview is back from February 2000, so it's quite a bit outdated, though it still shows the main functions [pec] has. During those months, several updates for [pec] have been released and many cool functions have been added, so the current [pec] is quite different from the one used for this preview ! Maybe you already heard about the "special" feature coming with bleem! v1.5 ! 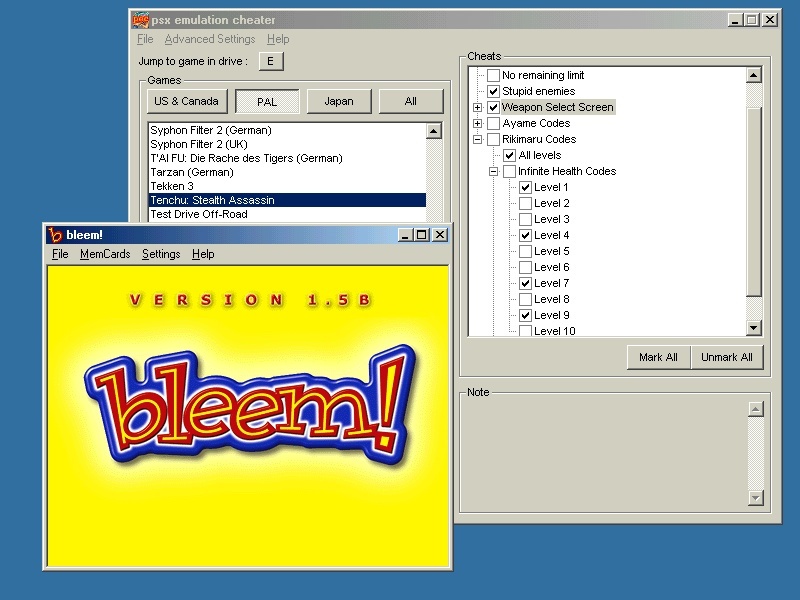 Many people thought it's a program included in bleem!, but it was an additional program which allows you to use normal Gameshark codes with bleem!. Only thing many people complained about : It wasn't free. But now, there's another upcoming project which will be able to do the same thing - But this time, it's a freeware tool developed by Jens Duttke, programmer of the great bleem! utility "blini!". 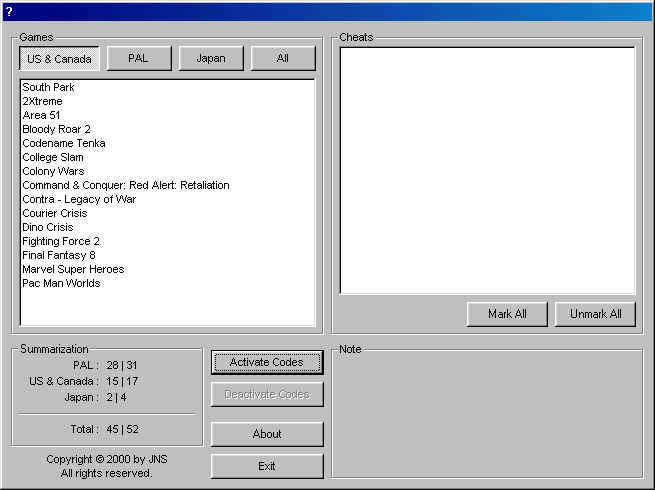 What this utility does is quickly described : It allows you, to enter normal Gameshark codes which are normally used by your PSX, with bleem!. A problem related to this, is that every bleem! version changes the memory starting adresses. But thanks to Ultraschall, who wrote an ASM version which searches the starting adress, this is done within seconds and works with all bleem! versions. And it becomes even better : The program already includes hundreds (if not thousands) of codes the team typed in for your pleasure. With this feature, you can just download the program, extract it and start cheating ! And now, after several months of development, the program is nearly finished. The only things that are still required are more cheats (which are currently typed in by the team and it's supporters) and a name, which can be suggested by you in the box below. For now, we'll call this project "Project X" for this preview. 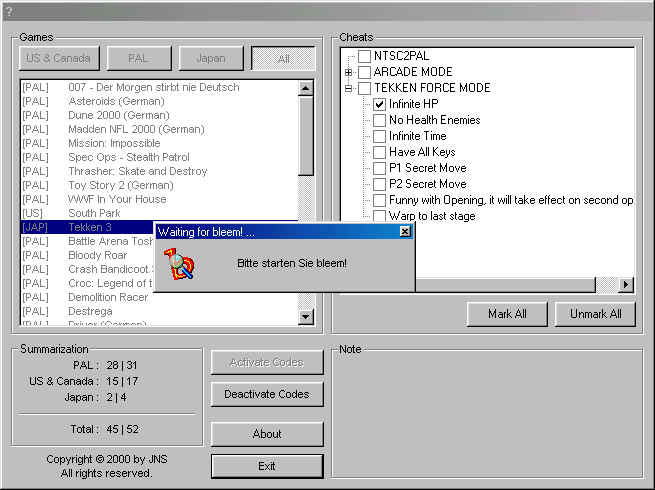 After you started the program, you'll find yourself on this screen. Here, you have the possibility to select the game you want to cheat in, and afterwards, which cheat you want to activate. You can also select, from which region your game is. 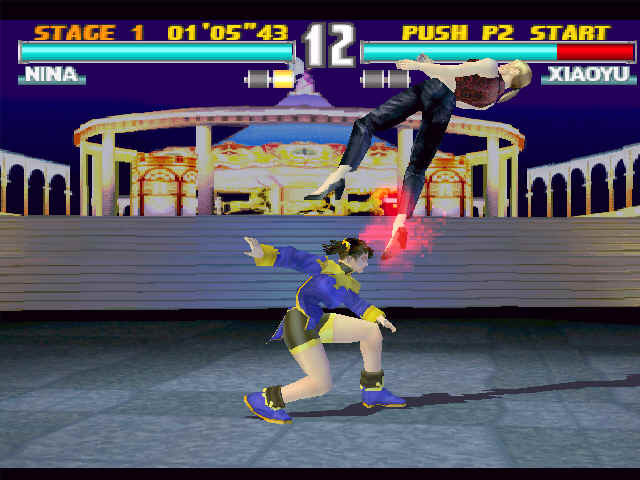 This is required since memory adresses change when a game gets translated, so Tekken 3 JAP can't use the same codes as Tekken 3 PAL does. 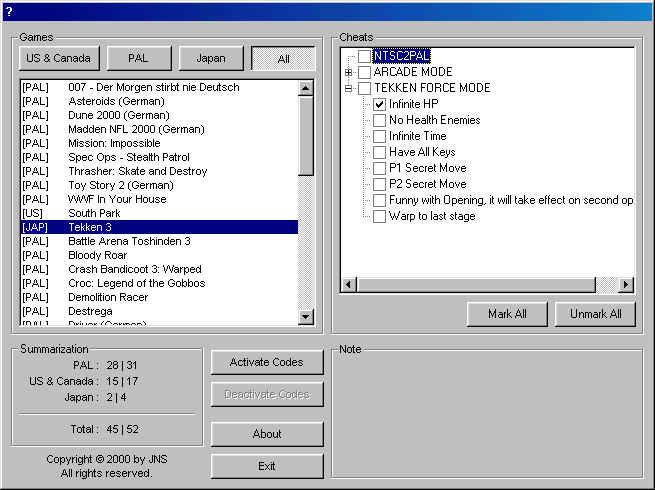 After you clicked on a certain game, you'll get into a sub menu, where you can see a list of the available codes for the selected game (in this case : Tekken 3). You'll also be able to add additional codes to the database, which are spread all over the web. 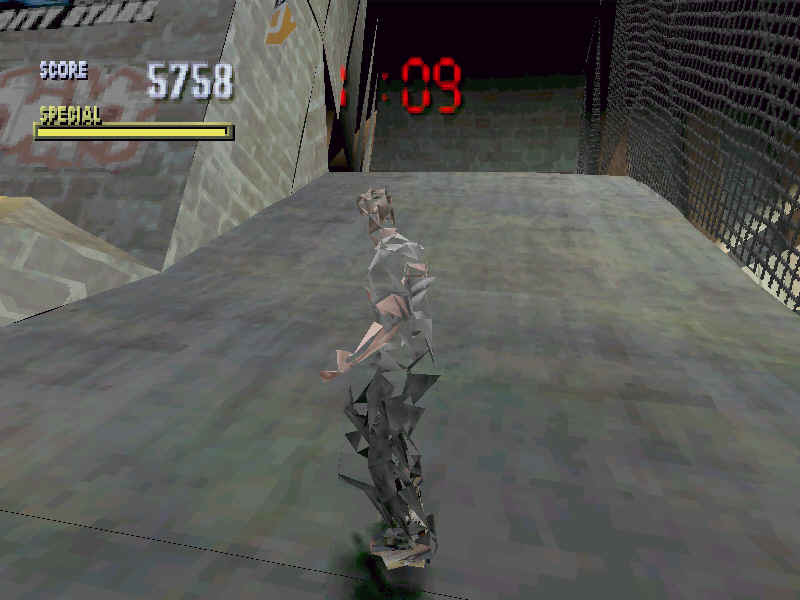 By activating the box you also activate the cheat code. You can de-activate the codes the sam way, or select a whole type of codes (for example for special modes). Now you have to click on the button "Activate Codes". This will cause the program to get into a "waiting" mode. A new window will appear (we know it's not translated yet =P) which tells you to start bleem!. In this status, the program searches for the start adress, so don't worry when it takes some seconds. You can always stop the cheat program by clicking on "Deactivate codes". This is the whole starting progress. Looks simple ? It is ! The program is very user friendly. And one of the best things is : With a "normal" home PC (at least a PII with 233 Mhz), you won't get worse game performance while executing cheats ! 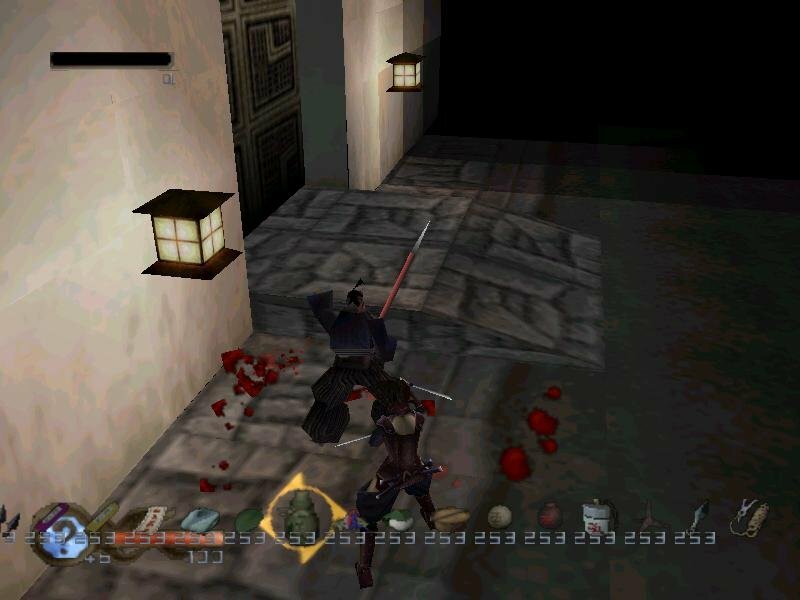 Now, to show you the way the program works, we made several screenshots from different games. Ultraschall, who wrote the whole ASM part in the program. Without him, you'd have to wait minutes while the program detects bleem! Stefan Redel, webmaster of GameBuster Paradise who allowed us to use all the Gameshark codes in the program. Flo Dester, alias DJ Mangalla, who helped me to build up the database and also does beta testing. And of course, like always, thanks to everyone I forgot. This great project will be released by Jens Duttke soon, so be sure to keep an eye on his page regularly ! Thanks to Jens Duttke for the additional help.